1. Not be afraid to try new things, like make a cake and decorate it with fondant. 2. Train for a 10k and be okay if I walk some of it. 3. Eat more vegetables, but not necessarily less sweets. 4. Get better at decorating sugar cookies. I think they are completely doable. P.P.S. I’m posting this on Add a Pinch’s Mingle Monday. You should check out all the great ideas. I know you’ll be inspired! Preheat oven to 350 degrees. Spray a 9×9-inch pan with cooking spray. In a double boiler, (or microwave at half power), melt the unsweetened chocolate squares and butter. Stir so that the butter is not separated from the chocolate. Let cool slightly. Pour the chocolate and butter mixture into a large bowl. Add the sugar and mix gently until the sugar is dissolved. Add the eggs, mixing one at a time. (Make sure the mixture is cool, otherwise you will cook the eggs.) Stir in the vanilla and salt. Gently fold in the flour until there are no remaining traces. Mix in the chips. Pour into the pan, spreading the batter evenly, and bake for 30-35 minutes, or until a toothpick entered comes out with a few crumbs. Cool on a wire rack completely before cutting up into squares and serving. Then you can make me that reese’s oreo thing again!!!!! One of the best desserts ever! I found some of those chips in the grocery store just before Christmas and got some, too! They are fabulous! Made some double chocolate chip cookies with them and I like them better than Andes chunks! 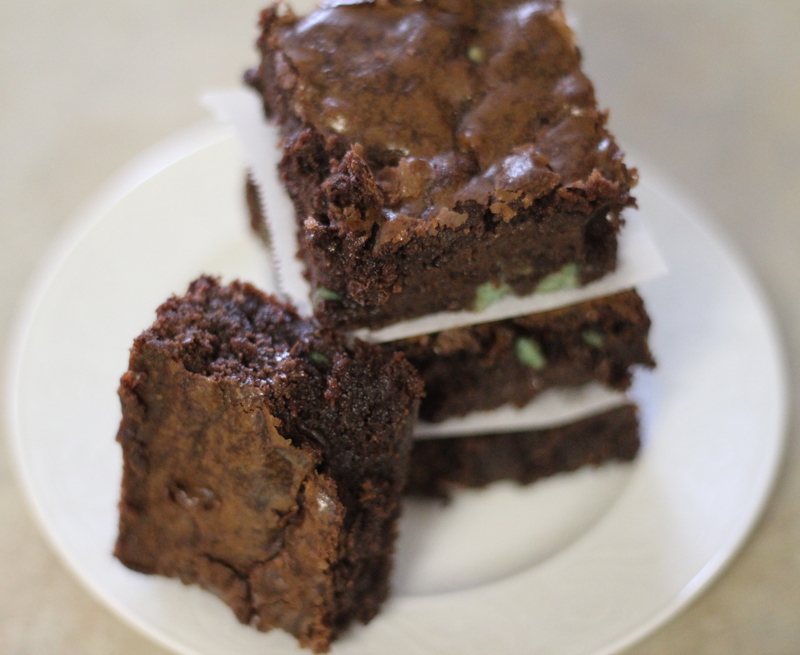 Will definitely try your brownie recipe as I still have some of those chips! 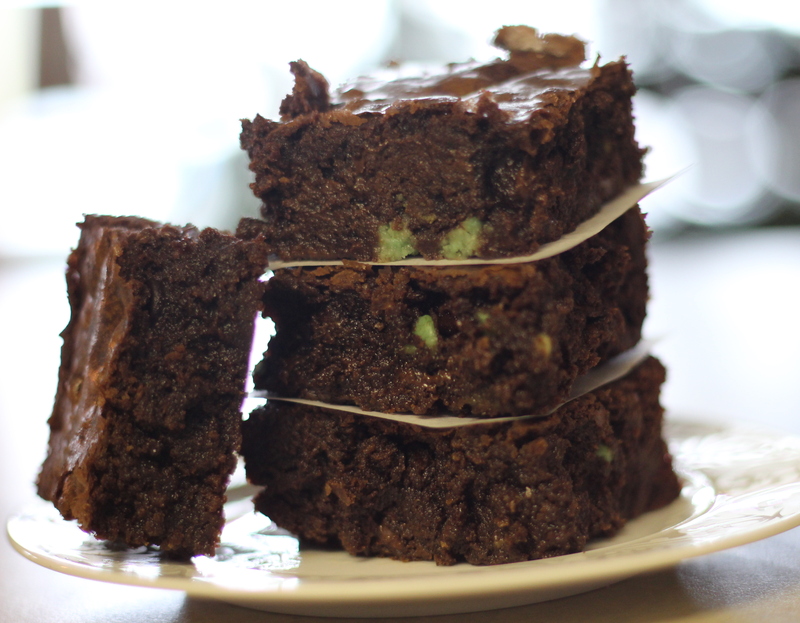 Your brownies look divine, Holly! !